We keep track of .COM domains “in the wild” and often times they appear on vehicles. Rest assured we are stationary when we take those photos; safety first. Nothing beats domain names – except perhaps for a good, old-fashioned BBQ served alongside a fun music concert. 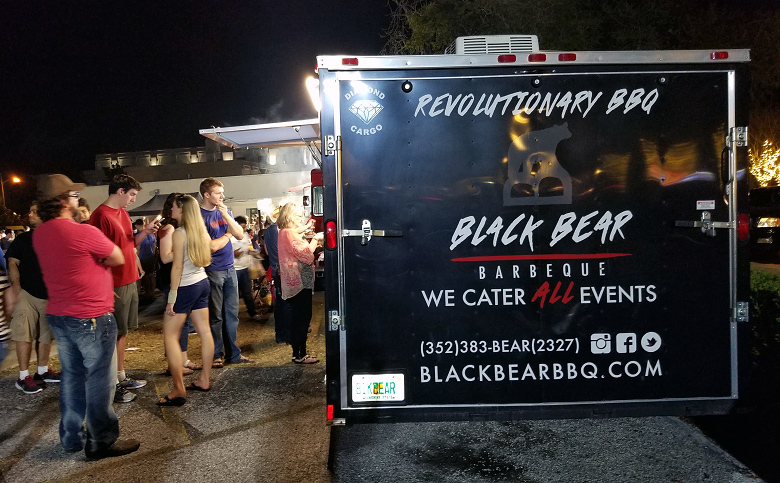 This time around, we came across the Black Bear BBQ truck, and let me tell you, the line of people waiting for its pulled pork and other goodies was never shorter than 10 hungry individuals. The Black Bear BBQ operates from the domain BlackBearBBQ.com which has pretty basic content, but you can sign up for notifications on its next appearance. If you spot the truck, tell them we sent you, and enjoy their spectacular food. Are they better than Sonnys? BlackBearbbq— the meat is from black bears? any fresh meat smoked for 12hrs+ always taste yummy.